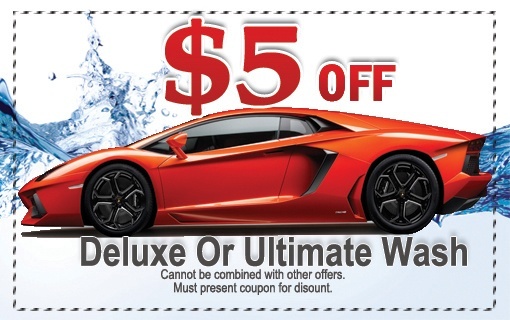 Check out our friends at CAR PRIDE AUTO SPA! Located on the south side of Royal Windsor Drive between Southdown Road and Winston Churchill Boulevard, very near the Clarkson Station. They offer a free local Shuttle that runs within a 5km radius. State of the art 6000 square foot Car Wash and Detailing Centre is Canada's Finest. Car Pride Auto Spa serves residents and businesses from the communities of Mississauga, Oakville and Burlington, but also regularly serve people from Brampton, Caledon and Georgetown, too. Choose from a gentle hand wash and hand dry option performed by one of our specialized detailers, or opt for one of their car wash packages, all of which feature the latest and most technologically advanced car wash tunnel. Their feather-touch car wash uses environmentally friendly Dura-Soft material imported directly from Europe, designed to get your vehicle clean and nurture its surface and paint. Their Tire and Rim cleaners utilize a high pressure wash with appropriate detergent mixes that reach crevices, removing brake dust, dirt and grime wax. We take Pride in being a GREEN company. Their spot-free additives ensure a clean, lustrous surface appearance. All of our soaps, waxes and other detergents are phosphate and ammonia-free.